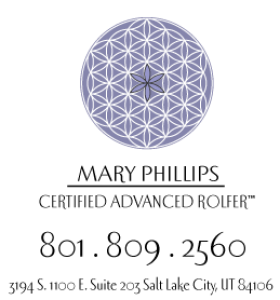 Rolfing is a system of soft tissue manipulation and movement education in which we explore and shift long held patterns of misalignment that can be present in the body. Rolfing structural integration was created by Dr. Ida Rolf, a Ph.D. in biochemistry. She devoted her life studies to the investigation and creation of the revolutionary concept of working with the connective tissue of the body. Her goal was to evoke more order in the body as it organizes in the gravitational field of the earth. We all have patterns marked into our bodies by our life experiences. These can include bad posture from hours at a computer, trauma from injury or surgery, overuse during exercise, and or emotional trauma. Living with these patterns can feel painful or exhausting; they may drain your vital life energy as your body struggles to maintain uprightness in gravity. Whether you experience chronic pain or occasional discomfort, rolfing returns you to a clearer, more flowing state, shifting both your physical self and your internal awareness. When your body is more organized, it is easier to move, breathe, and relate from a centered place to the world around you. The connections between body and soul shift and deepen.